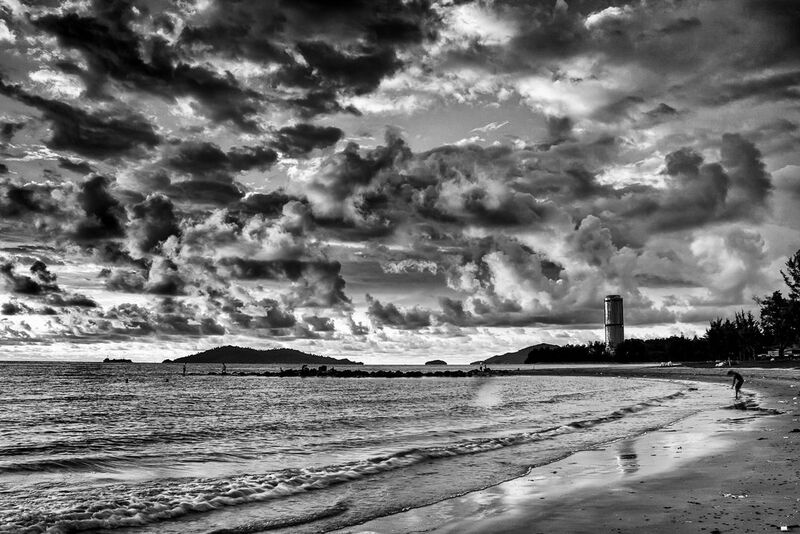 This photo was taken at Likas Public beach with heavy clouds hanging low in the sky before the rain become heavy. I was unnoticed there was a rain drop on my lens. At the end of the beach is the iconic Tun Mustapha Tower.